As the final chapter arrives, it’s time to bid farewell to the Twilight vampire saga. Never again will we see Robert Pattinson’s Edward sparkle, Kristen Stewart’s Bella pout furiously or Taylor Lautner’s Jacob gratuitously remove his shirt. But for those grief-stricken Twi-Hards, they should at least be pleased that this finale has some bite (sorry). Director Bill Condon makes up for his rather lacklustre adaptation of the first half of Stephenie Meyer’s concluding novel Breaking Dawn with a full-throated Part 2. 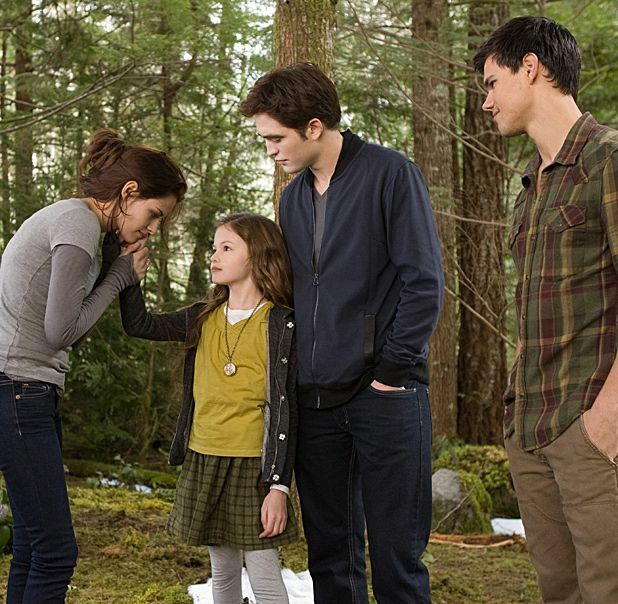 Part 1 ended with the human Bella ‘dying’ and then revived by Edward, after she gave birth to their child, Renesmee. Now a “new-born” vampire, the freshly undead Bella must cope with her newly-acquired thirst (an early scene – one of the film’s best – sees her scamper through the forest and clamber up a mountain in pursuit of an unwitting rock-climber). Our friendly neighbourhood werewolf Jacob also gets to finally show Bella’s father (Billy Burke) what lurks beneath. Meanwhile, that ridiculously camp vampire coven the Volturi – led by the deliciously over-the-top Michael Sheen – get word of Renesmee, believing that this offspring is a danger to them, and come spoiling for a scrap. As Edward and co gather reinforcements from around the globe, Melissa Rosenberg’s script can’t quite handle this enormous influx of characters. And you can’t help put laugh when the Irish branch of the family – looking like Father Ted yokels, in beards and caps – put in an appearance. The dialogue is also stillborn in places and scenes of Bella/Edward together looking around their new cottage hideaway feels like a bad advert for John Lewis. Still Condon does keep one neat narrative twist up his sleeve, and there’s enough head-twisting and corpse-burning to keep the more bloodthirsty happy. A flashback late on to Catherine Hardwicke’s original Twilight reminds us when this now CGI-heavy franchise was much simpler. But Condon’s approach somehow seems fitting for a story that is all about the loss of innocence. The tween vampire romance comes to its conclusion.